Shave & Hair Removal The Art of Shaving Cream Bergamot Neroli 5 Oz. Sandalwood Essential Oil. Shaving Cream. The Art Of Shaving. Size ~ 1 oz ~. The Art Of Shaving Shaving Cream Sandalwood Essential Oil. Size: 1 oz. / 30 ml Each. Total Size: 5oz. 1 pcs After Shave Balm 0.5oz u/b. ART of SHAVING Lemon Essential Oil Travel Size! Perfect for Trial and Travel! TSA Approved. 1 pcs Shaving Cream 1oz Brush or Brushless u/b. The Art Of Shaving Shaving Soap Refill With Lavender Essential Oils 3.3 Oz . Condition is New. Shipped with USPS First Class Package. SHAVING SOAP WITH BOWL. FULL SIZE / 3.4 OZ. SANDALWOOD ESSENTIAL OIL. SHAVING CREAM. •THE ART OF SHAVING. BRUSH OR BRUSHLESS. OZ/60 ML TOTAL. >>UNBOXED<<. THE ART OF SHAVING, Sandalwood Soap TALLOW Refill 3.3 oz. New Old Stock RARE! THE ART OF SHAVING, Sandalwood Soap TALLOW Refill 3.3 oz. If there is a boot in the picture, it is not included. The Art of Shaving Shaving Cream Sandalwood 5 fl. oz. - Free Shipping . The Art of Shaving Cream is a blend of glycerin, coconut oil and essential oils to soften the beard and allow for a smooth glide and comfortable shave. Can be used with or without a shaving brush. The Art of Shaving Shaving Cream Sandalwood 5 fl. oz. NEW! Fast Free Shipping! The Art of Shaving Shaving Cream Sandalwood 5 fl. The Art of Shaving Shaving Cream softens and lifts the beard for a close and comfortable shave, and protects the skin from irritation and razor burn. 5 out of 5 stars - The Art of Shaving Shaving Cream Sandalwood 5 fl. oz. NEW! Fast Free Shipping! 41 product ratings41 product ratings - The Art of Shaving Shaving Cream Sandalwood 5 fl. oz. NEW! Fast Free Shipping! 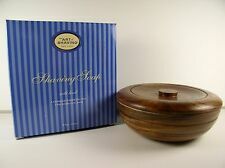 The Art of Shaving in Wooden Bowl with Lid. No box, but this is new and has not been used. There is a little scuff mark on the top of the soap. The words on the soap read, "The Art of Shaving" and below that, "New York". This conditioner is 4 fluid oz, and you'll receive 1 bottle! The Art of Shaving BEARD CONDITIONER The Art of Shaving introduces the modern gentleman to a complete skin, hair, & beard care range adapted to his life style. Box is a little distressed! We do our very best to evaluate and test the inventory we receive. Brand New Art Of Shaving Lavender After Shave Lotion 3.3 fl oz. The Art Of Shaving After Shave Lemon 3.3 oz Unboxed. THE ART of SHAVING - The Perfect Shave. A fter-Shave Balm. S having Cream. 2 Boxes of Travel Size Products. P re-Shave Oil. The Art Of Shaving After Shave Unscented 3.3 oz Unboxed. The Art of Shaving Shaving Cream Sandalwood 5 fl. We promise we'll make it right! Trending at $26.85eBay determines this price through a machine learned model of the product's sale prices within the last 90 days. SHAVING CREAM. THE ART OF SHAVING. BRUSH OR BRUSHLESS. Over the moon! 💫💫💫💫💫 s 1 ( 707. All of our products are 100% AUTHENTIC. OZ/45 ML EACH (2) TUBE. Good deal. ). BOX IS SLIGHTLY WORN REMAINS NEW. What you see in the picture is what you get. Nothing else is included! Have an issue?. Why buy through us?. Make sure it is exactly what you are wanting. Trending at $24.37eBay determines this price through a machine learned model of the product's sale prices within the last 90 days. The Art Of Shaving After Shave Sandalwood 3.3 oz Unboxed. SIZE: 1.7 FL OZ. Get Supersized Images & Free Image Hosting. What you see in the picture is what you get. Nothing else is included! Have an issue?. Listed by CG. Why buy through us?. Location: Bin 794 BROWN BOX! Pre-Shave Oil is the first step in The Art of Shaving. It softens the beard and prepares the skin for a close and comfortable shave without leaving an oily residue. The Art of Shaving - The Perfect Shave. The Art of Shaving Shaving Cream - Lavender Essential 5 oz / 150 ml NEW No Box. Condition is New. Shipped with USPS First Class Package (2 to 3 business days). The best way to shave when travelling with the best shave product on the market! This is a LOT OF 5 shaving kits which consist of.Pre-shave oil, Shave Cream and After-Shave Balm in unscented for Sentive skin. The Art Of Shaving After Shave Balm Sandalwood 3.3 oz. The Art of Shaving for Men Shaving Cream Lemon Essential Oil 2.5 fl oz New. Condition is New. Shipped with USPS First Class Package. It softens the beard for a close and comfortable shave. The Shaving Cream hydrates your hair for shaving and leaves your skin feeling smooth. It can be used w/ or w/o a shaving brush. The formula contains glycerin and coconut acid that provide hydration during the shave.